Are you feeling confused to decide between duvet cover vs comforter? That is the question. When it comes to choosing your bedding stuff, which one is the most suitable choice for you? Do you prefer ease of washing? Do you hate making your bed? These are all things to keep in mind when deciding on what your bedding will be. A duvet cover is a protective layer that slips over the duvet and has a closure. Duvet covers are useful because they protect your comforter during use and are easily removed and easy to wash. With duvet covers, you can also quickly and easily change the look of your bed and room without having to completely redecorate. The duvet can be easily removed and washed when needed. Duvets to duvet covers is like pillow to a pillowcase. Since Duvets and comforters are expensive to dry clean which makes washing them not an option, however, duvet covers can be easily removed and washed with other normal buddings. Duvet covers adds protection to your duvet and easily enables you to complement your bedroom décor with your colors taste. Moreover, duvet covers are affordable, it’s sold separately and comes in a huge selection of inviting colors. 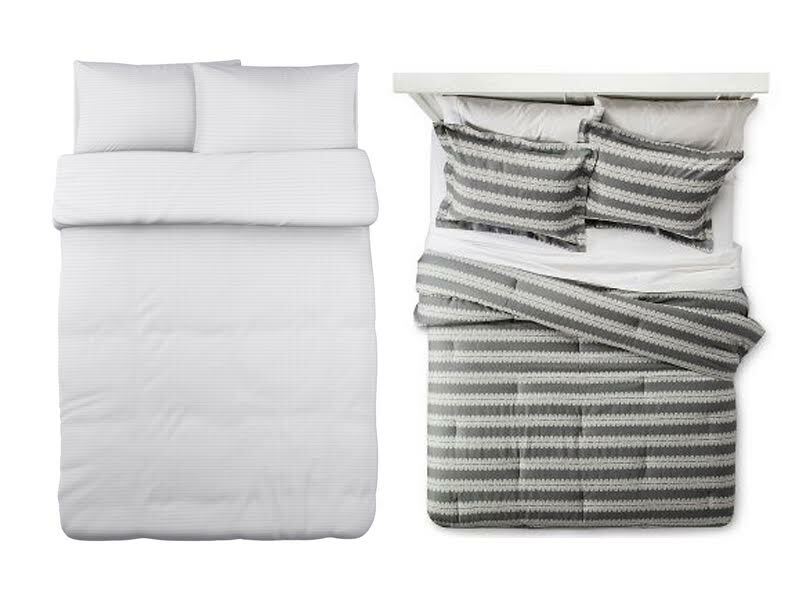 Take a look: Bedspread vs Comforter. Typically, a comforter is a thick, quilted, fluffy blanket that is used to keep you warm. It is usually filled with synthetic fiber filler which is quilted or stitched to secure the filling and keep it evenly distributed. The comforter only forms one piece of all of your bed linens. It is intended to sit on top of your sheets and those who want a layered look might prefer this. Comforters are usually sold in bedding sets that have coordinating separates and makes decorating easy. Caring for your comforter is easy as you can just place it in the wash with your other bedding. In comforters usually there is a fashion statement is some form such as embroidery, patch work, coloring and usually it comes in multi-piece “bed-in-a-bag” bedding sets. On a cold winter’s night, there is nothing better than snuggling under the covers to stay warm. Overall, both a duvet cover and a comforter will keep you warm, duvets are a better value for your money. That is because you no longer have to purchase sheets, but you can purchase multiple covers so that you can change out the entire look of your bedding with much less cost than what you would incur buying multiple comforters.